Pavel Lohonka by proper name; Czech folk & country legend. Singer & songwriter & guitarist, head of popular South-Bohemian folk band Minnesengri. 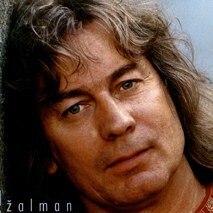 Besides that a successful solo carreer (often supported by former and current members of Minnesengri and other well-known folk musicians, calling themselves "Zalman & spol" or "Zalman a hoste".